Mechanicsburg, Pa. — Modjeski and Masters announced its selection for a 2018 Prize Bridge Award, Reconstructed Category, from the National Steel Bridge Alliance (NSBA). 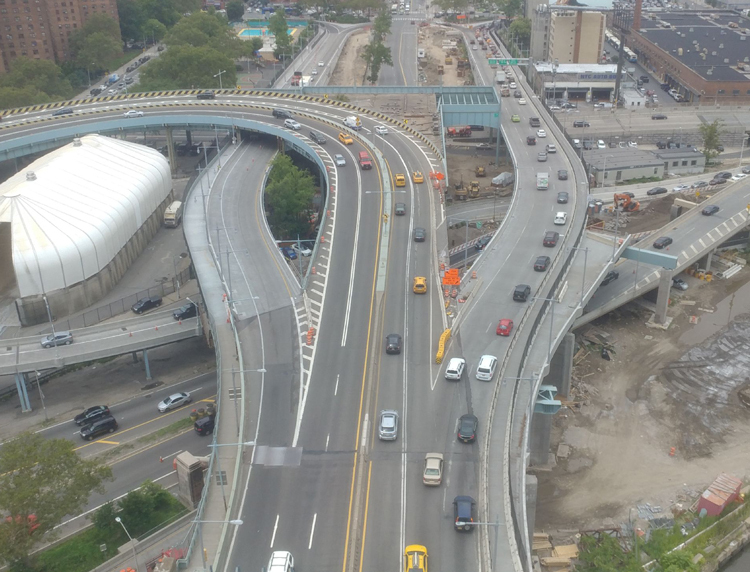 The firm was recognized for its Robert F. Kennedy Bridge Manhattan Approach Ramps Reconstruction and Rehabilitation Project (RK-23) in New York City. Conducted every other year by NSBA, the Prize Bridge Awards are the highest honor bestowed on bridge projects by the U.S. structural steel industry, recognizing significant and innovative steel bridges constructed in the U.S. The awards were presented at the 2018 North American Steel Construction Conference (NASCC) and World Steel Bridge Symposium on April 11, 2018 at the Baltimore Convention Center in Baltimore, Md. Originally constructed in 1936, the Manhattan approach ramps to the Robert F. Kennedy bridge had no major rehabilitation performed since its original construction. Due to the effects of chronic deterioration, Modjeski and Masters led the comprehensive rehabilitation effort of the steel portion of the structure using a number of innovative techniques to complete this project within the congested urban environment including: Expanded-Polystyrene (EPS) geofoam fill to minimize negative environmental impact, temporary ramps to maintain traffic for the nearly 85,000 daily vehicles the bridge typically accommodates, and a seismic isolation system to ensure the bridge can resist a 2,500-year return period event with minimal damage due to the structure’s importance as an emergency evacuation route. A full overview of the award-winning reconstruction and rehabilitation of the Manhattan approach ramps to the Robert F. Kennedy Bridge can be found at www.modjeski.com/projects/detail.aspx?RK-23_Approach_Ramps.